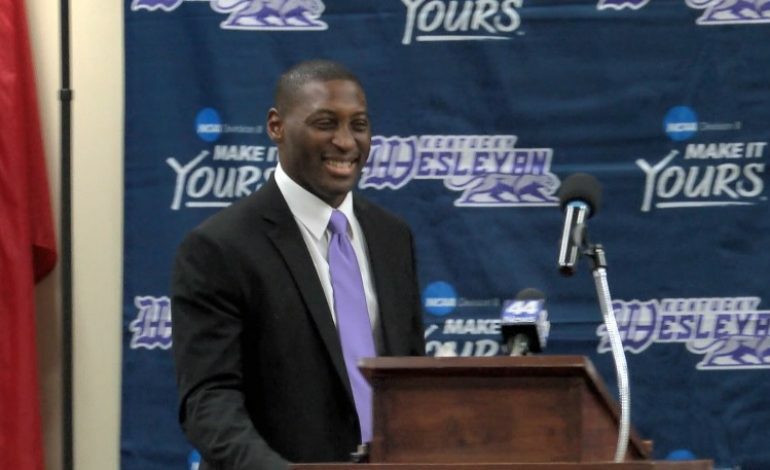 Optimism was in the air Wednesday as Kentucky Wesleyan football introduced Craig Yeast as the 17th head coach in program history. Yeast, a former NFL wide receiver and All-SEC honoree at the University of Kentucky, coached three seasons at Franklin College before joining the Panthers. He was born in Danville, Ky. and played football for Harrodsburg High School. Director of Athletics Rob Mallory introduced Yeast to the KWC faithful at Rogers Hall, where Yeast preached winning with the Panthers and doing it the right way.